Bree's Busy Bags are given to our local St. Jude Clinic every month for patients! Each month Bree's Busy Bags are filled with different activities. Our goal is to put a smile on a child's face and hope these bags help keep them busy! Proud to partner with Our Lady of the Lake Children's Hospital. Hopefully this is one of many gifts from Bree we continue to give hospitals and children affected by childhood cancer. 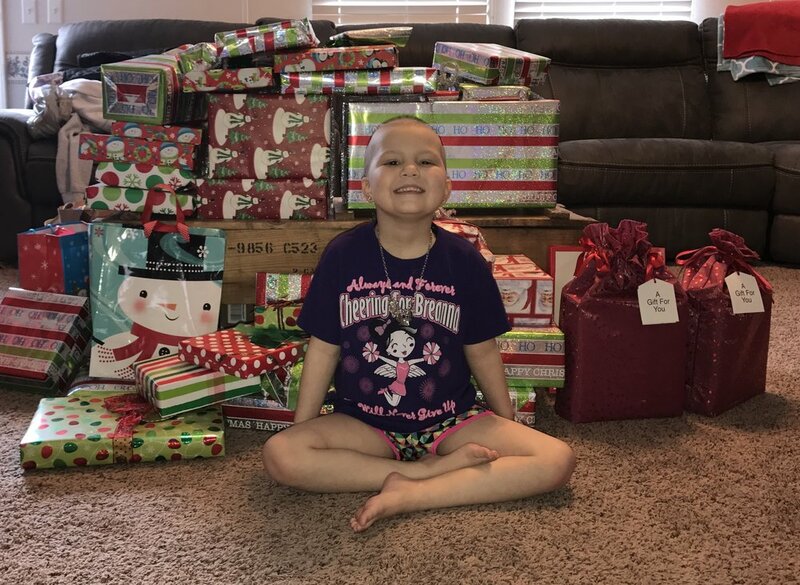 We are so honored to give Paislee Christmas. This sweet girl had a smile on her face the whole time. 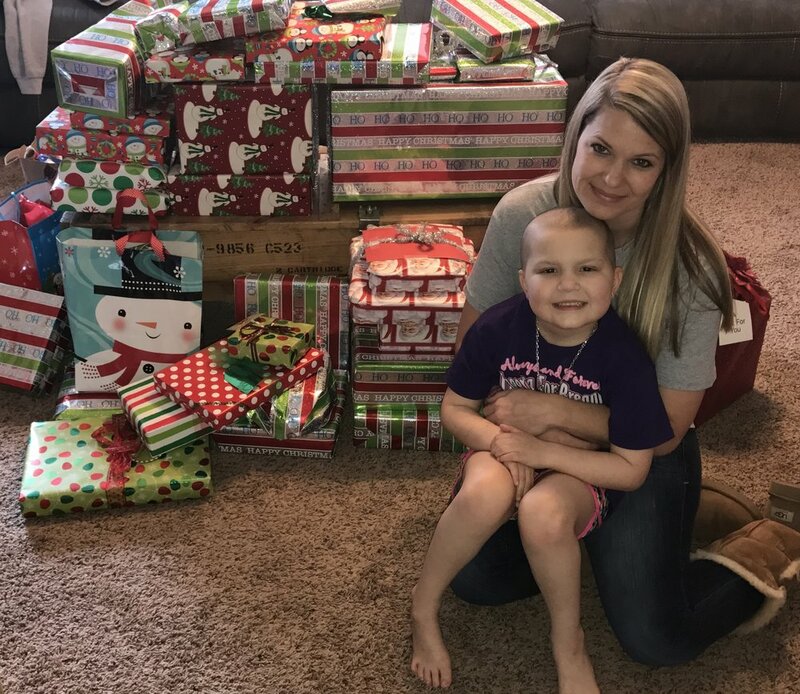 Because of your support and donations we were able to give Paislee gifts, a nice dinner for the entire family, gift cards for the siblings and grant the family with some extra money. This beautiful family was grateful. It felt good knowing our foundation could help lift the burden of what cancer brings to the entire family. Our hearts were smiling big sharing Bree's love. For the last two years we have committed to running in the St Jude Memphis Marathon. This event is largest singe-day fundraiser for the hospital. While our foundation is focused on comfort care for patients and research, St Jude will always be very dear to our hearts. We will always find ways to give back to this hospital while they continue each day to fight hard for a cure. By joining our team or donating to the cause, your donation goes directly to St Jude Children's Research Hospital.